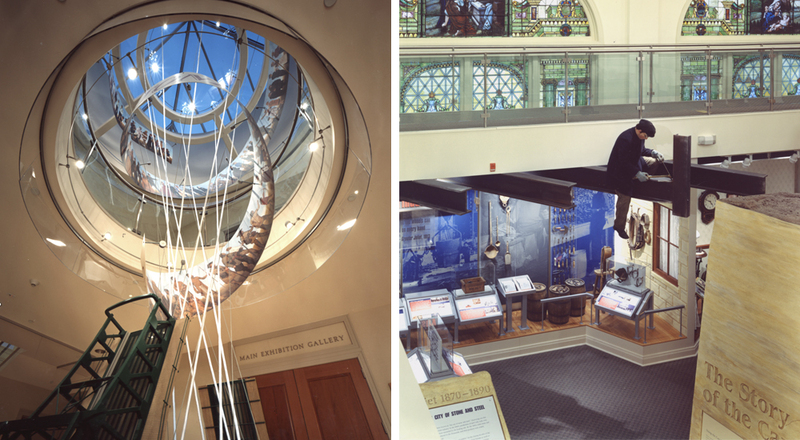 A fruitful collaboration between the City of Joliet and Joliet Historical Society led to the creation a new regional museum. 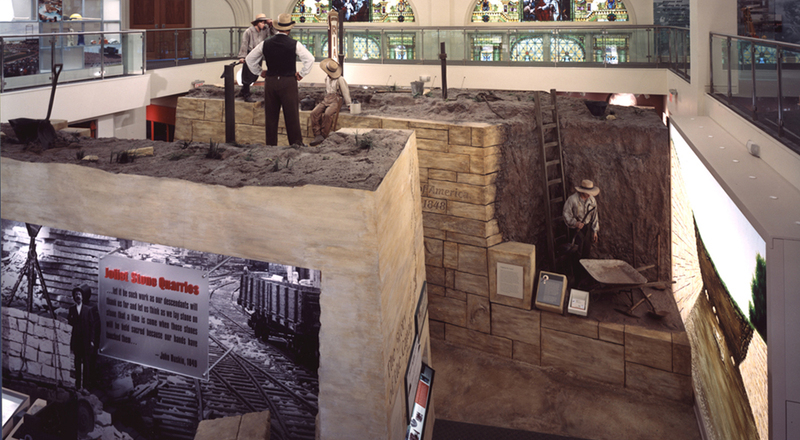 The Joliet Area Historical Museum occupies a former Methodist Church, regarded by the City as an important historic building in need of preservation. 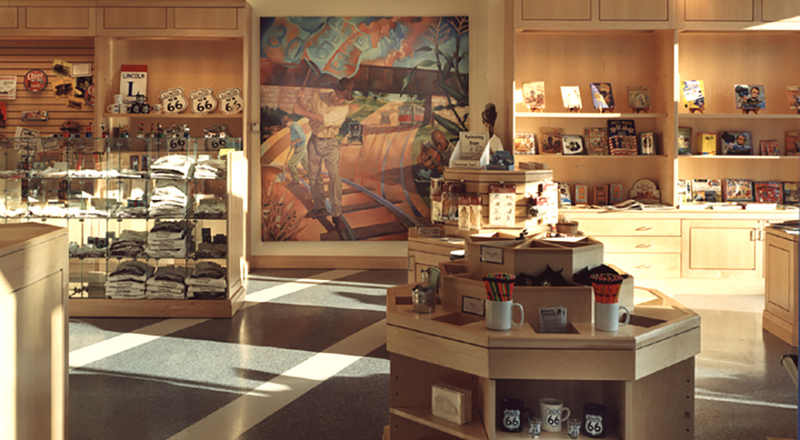 The exterior was completely refurbished and the church’s sanctuary was adaptively re-used as the museum’s Core Exhibit Gallery. 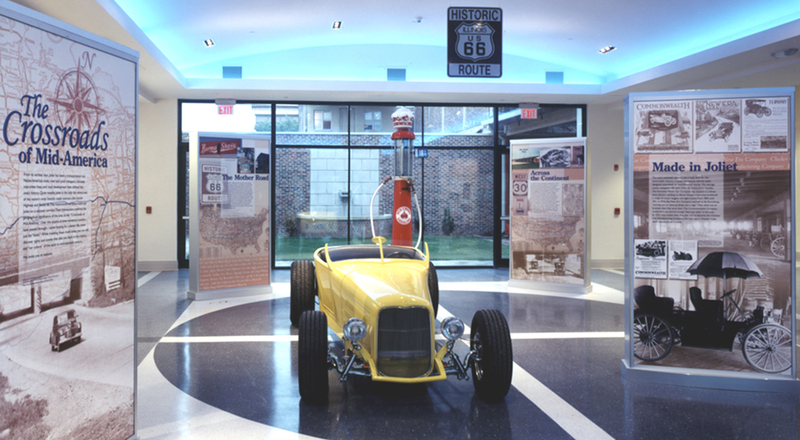 The project also entailed a new one-story addition for the Historic Route 66 Welcome Center. 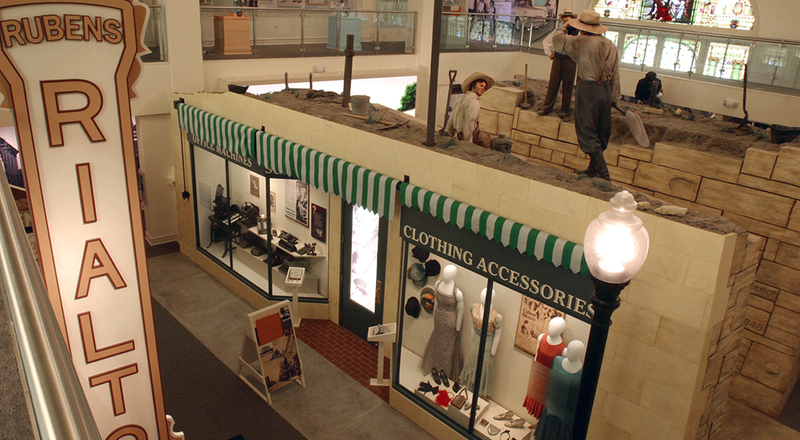 Large-scale sensory exhibits, such as the two-story Canal Cut and recreated downtown streetscape, fully immerse the visitor in Joliet’s heritage. 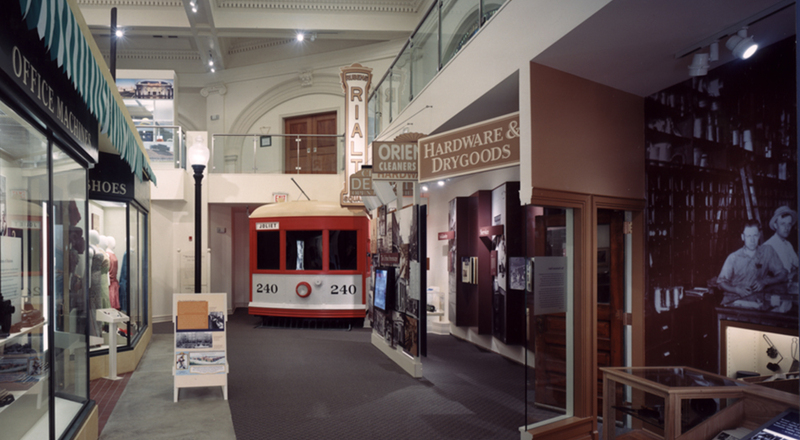 Visitors may climb aboard a recreated trolley, take a seat inside, and experience a simulated ride down Main Street Joliet. They also can watch excerpts of silent films that once headlined at the Rialto Theater, or select a radio station to hear the latest war news, advertisements, and music broadcast during World War II. “Talk of the Town” offers a link to current issues, residents, and happenings. 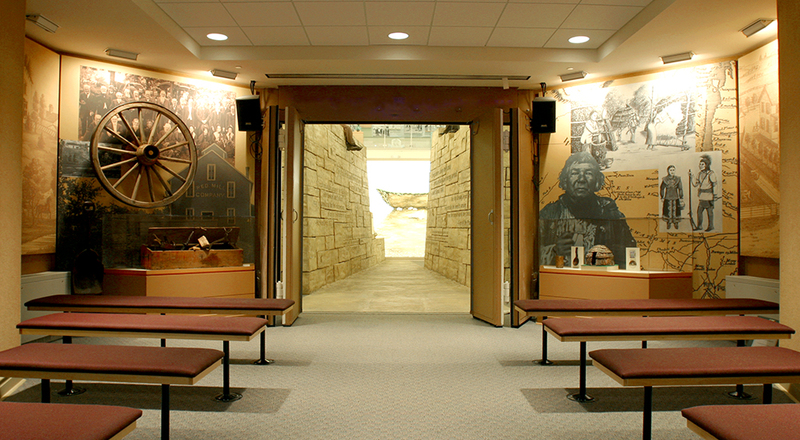 The impact of the Joliet Area Historical Museum has reached far beyond the museum’s historic walls, contributing heavily to the revitalization of the City of Joliet.